I work alone pretty much all the time, and I live in the middle of Pennsylvania - not exactly a hub of activity for the music industry. That's fine, I don't mind living somewhere boring as long as I get to visit places more exciting. 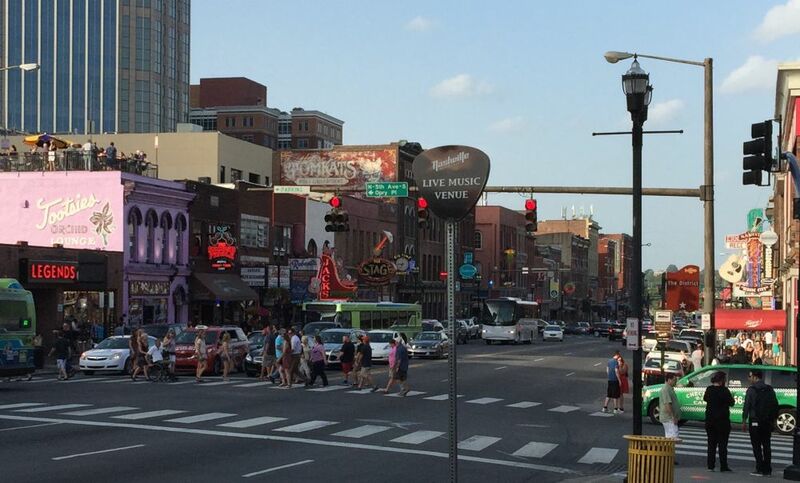 Nashville is one of those places. Each year I travel there to attend the Summer NAMM convention. I used to consider these trips a luxury, something I could skip if times were tight. But over the past few years I've realized how much I need these trips. The people I meet at these shows understand the challenges of creating products that musicians will love. My customers are their customers. Some of them have seen my lessons, some have never heard of me. But they're in this business because they love music. And the vibe at these shows is a powerful reminder of why I created Texas Blues Alley - because I love blues guitar and I want to help other people enjoy their own playing more. 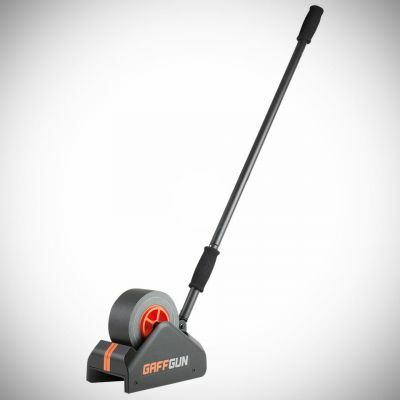 The GaffGun is what every sound man has always wanted, but never dreamed possible. It gathers mic cords and tapes them down as you roll it along. If you've ever had to tape down long runs of cable, you know exactly how much time this can save. I tried it and it worked exactly as advertised. When you play a really well built guitar you can feel the entire guitar resonate. The notes jump off the fretboard, and you feel like a superstar. But when you're stuck playing a guitar made from a sub-par cut of wood, the notes don't jump off the fretboard. They stick there and you have to play extra hard just to convince them to show up for work. Backbone Guitar Products can help. 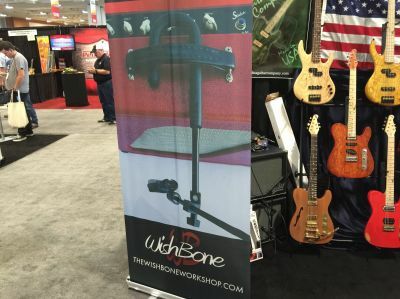 Their product is an aluminum bar that attaches to the back of your guitar, connecting the neck joint to the strings/tremolo. This metal connection provides a much more efficient means of transferring vibration. The result, theoretically, is greater sustain. Fortunately, they were prepared for skeptics. They had two identical guitars, but only one had the plate installed. The difference was incredible. You could literally feel the difference without the guitar plugged in. The notes had more snap, felt more solid. The best part? It's only $59.99 for Strats, $69.99 for Tele. I'm reserving final judgement until I can try it on my own guitars, but it feels like a winner. In 2009 I used colored graphics on my fretboard for the Essential Fretboard course. People have been asking me ever since how to do this. I used printed adhesive mailing labels, but this is a terrible way to do it. These labels leave a residue behind which gunks up your neck. I had all but given up on this. Then.... 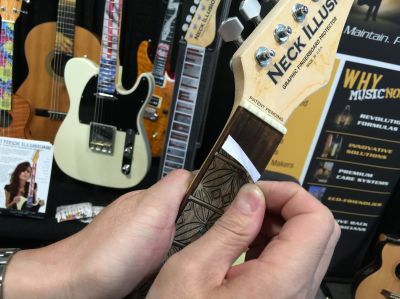 Neck Illusions became a thing. Neck Illusions are removeable/reusable graphics for guitar necks. The material is durable, it doesn't affect your tone, and it looks great. I can't promise when it will happen, but I will eventually be making a custom set of these showing the 5 Essential Blues Boxes in various keys, and I'll have them for sale here on the site. Micing a guitar cabinet is my favorite part of recording. A great mic position yields a tone that requires very little post-processing. Micing a guitar cabinet is also my least favorite part of recording because if you move your cabinet or microphone at all, the magic is gone. Conventional mic stands take up a lot of space and once you have them in place, you can't really move your cabinet. The Hook stand from Wishbone Workshop slides under the cabinet handle, so the mic stand moves with the cabinet. The boom arm hangs down in front of the speaker and allows the microphone to be positioned at any angle in front of the speaker. But what about low frequency vibrations from the cabinet - won't they be transferred to the boom arm? That was my first question. The end of the stand has a thick foam insulator around it. Every part of the stand that touches the cabinet will be insulated by this foam, which should prevent low frequency vibrations from being transferred to the boom. I first reported on the ARC stand two years ago at Summer NAMM. Two years later it's finally ready for production. 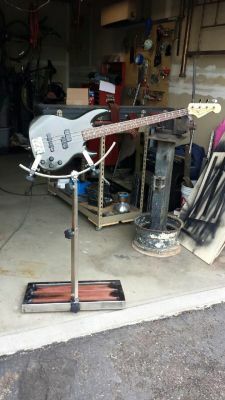 The ARC Stand is a great solution for people (like me) who need a guitar in a fixed position without holding it. It can attach to a pedalboard, or to a regular mic stand base. It can hold acoustic or electric guitars. The clamps have high friction rubber pads that grip the guitar without damaging it. I've got 3 different clamp style capos and I don't like any of them. They don't work well with heavy strings and they stick up in the air, as if they're daring you to play without knocking them out of place. 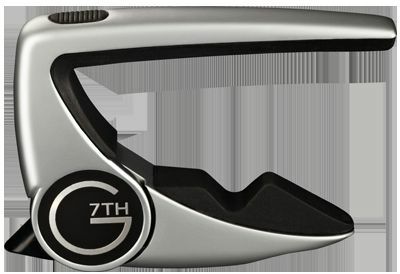 The Performace 2 capo from G7th capos will be my next capo. There's no handle protruding into the air, you just sqeeze it into place and it stays. The clamping mechanism is rock solid, which seems impossible given the small profile. The dB+ is the first mini pedal from Wampler pedals. It's a buffer and a boost, but these features are switched independently. The buffer can be toggled via a pushbutton switch on the side. The boost is controlled by the stomp switch on the top. You can leave the buffer engaged at all times and use the boost as needed, or vice-versa. 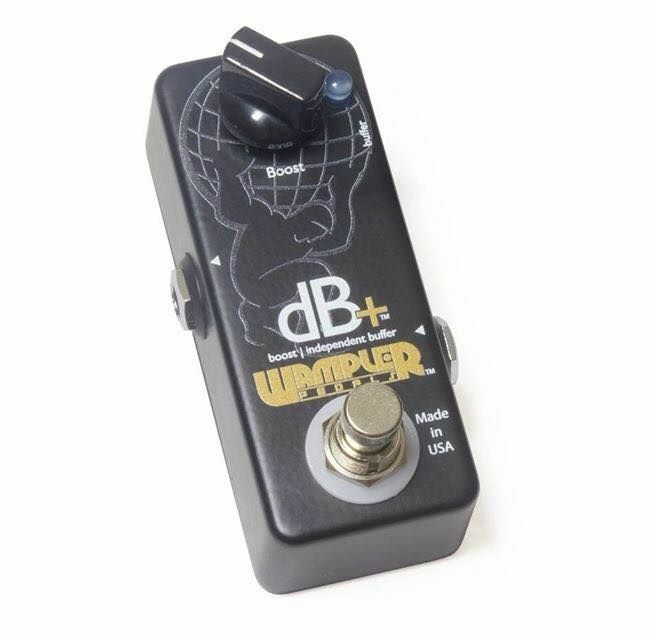 Unsure of what a buffer pedal does? Check out the Tone Tuesday series called Buffers, Cables & Tone. The Tentacle from Earthquake Devices is an octave pedal with no controls. Sound crazy? It's not so crazy when you hear it demoed. They've done a great job matching the volume of the pedal to the bypassed level. 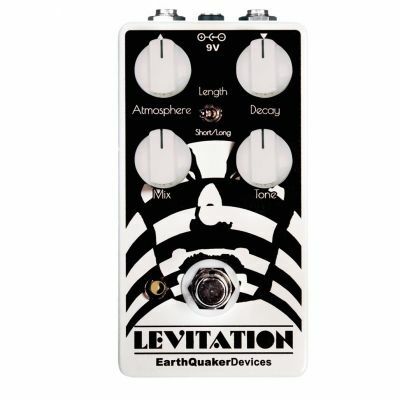 So why an octave pedal without fuzz? The most obvious answer to me is that a standalone octave pedal could be combined with any fuzz pedal. 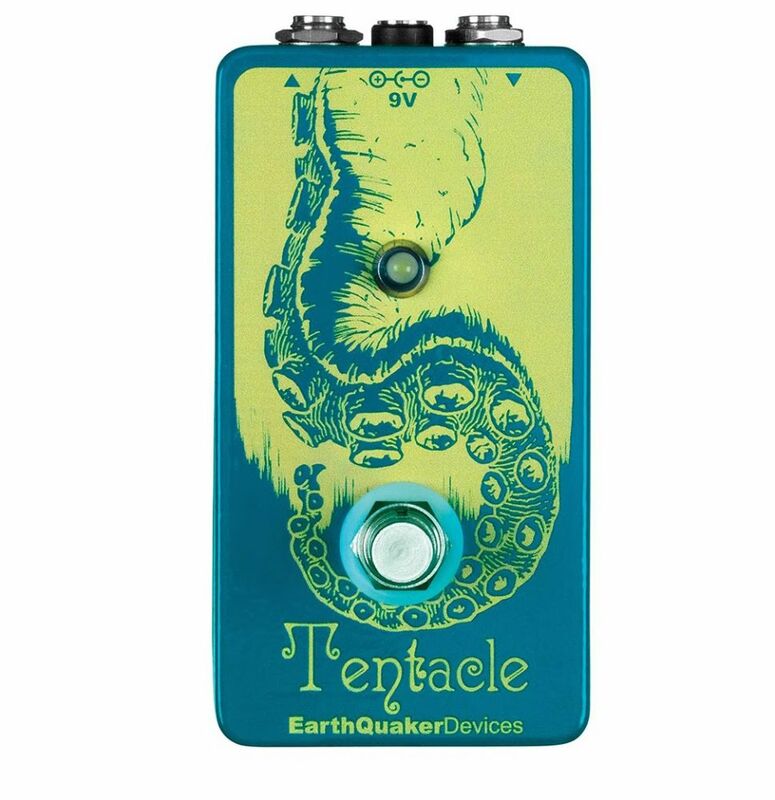 EQD already makes about 42 different fuzz pedals, so the Tentacle could theoretically be combined with any of them to create many different fuzz octave tones. The Levitation is a cool vintage sounding reverb. It's got a bit of spring, a bit of plate, and some cool frequency filtering. It's got more than a few tricks and a wide range of sounds. I'm not a reverb afficianado, but I really liked what the demo guy was making it do. 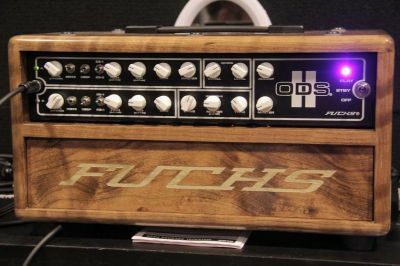 First there was the Fuchs ODS amp and it was great. Then Andy Fuchs created the Casino series. You may have seen my demo of my Fuchs Blackjack 21, which is part of the Casino series. The Casino series amps are less expensive to build, and have less options than the ODS. But they also developed a few new tricks the original ODS didn't have. With the Casino amps done, Andy set out to build a masterpiece. He redesigned the original ODS amp based on years of feedback and feature requests. 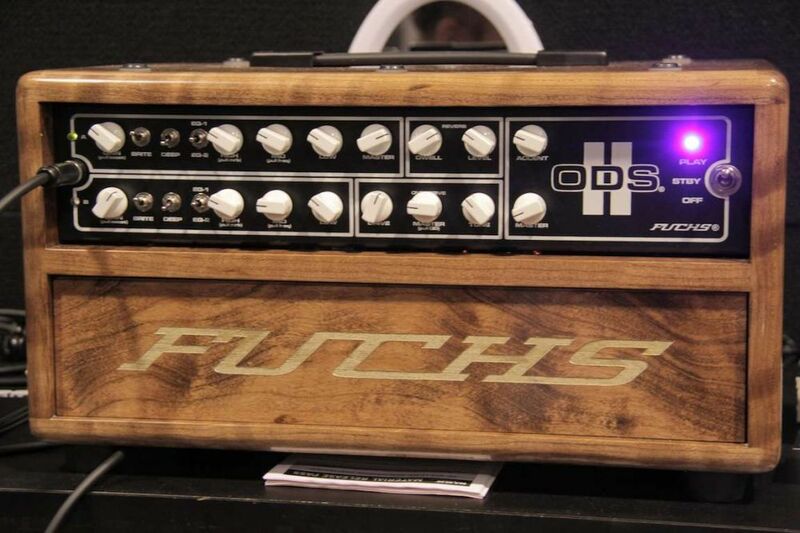 This new flagship amp, the ODS II, is a thing to behold. It's expensive, and it's loaded with more options than you would probably believe fit inside the small chassis it's housed in. I got to play through it for the first time at this show and it was superb. I first played through an Indigo amp at Winter NAMM, and was able to dial in some pretty sweet tones. But I didn't lose any sleep over it. Then, a few weeks ago, I played through the Mariachi at the NY Amp Show. It was the kind of sound that sticks in your head, and I kept asking myself "was it really that good?". I spent more time with this amp at Summer NAMM, and my suspicions were confirmed. It really is that good. The drive sounds on this amp are otherworldly. The distortion is smooth as silk. Even at reasonbly high gain levels, the notes are still crystal clear. 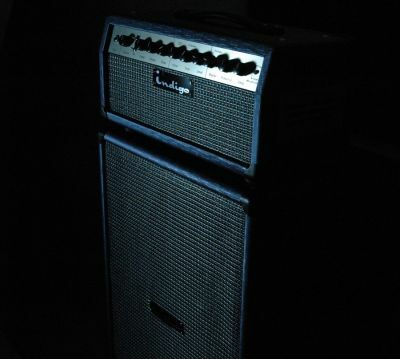 This is one of the best sounding amps I've ever played through. 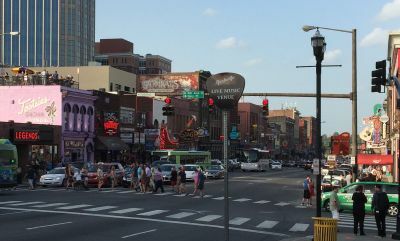 So that's an overview of what I saw at Summer NAMM 2015. This show never disappoints. Every year I discover something cool, and am reminded of why I love this job. I hope something I saw will make your life easier, or sound better. If you decide to buy anything you've seen here, tell them you found it through Texas Blues Alley.